The Math Club had a successful start. The 5/6 group has 14 students and the 3/4 group has 12 students. 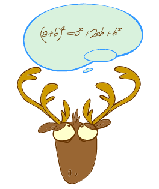 The students have written their first Caribou Contest Test. All students participating in the math club were in the top 88% of the world. There were 4 students in the 5/6 group that placed top 10 provincially. Three students in the 3/4 group achieved a top 10 provincial score. Students did really well; we are very proud of the results! The Gift Campaign items are arriving this week! We expect items to be sent home on Wednesday and Thursday! For families who had large purchases, arrangements will be made for you to pick up your orders. Thank you for supporting our fundraiser. 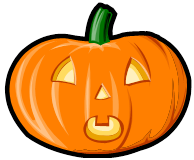 West Royalty’s “Halloween Dance Party” is just around the corner. The Dance will be held on Friday October 27th from 6:00 to 7:30pm. Students must be accompanied by an adult and admission is $2.00 per person. Dress up in a costume and come enjoy an evening of dancing fun with your children!! For the daring, there will be a Haunted Hallway AND there will also be candy bags for sale, along with a Jelly Bean Jar Guessing Game. Be sure to bring a few loonies along with you. Poinsettias are being sold by the grade six classes for $16. Numbers are limited but you can pre-order through a grade 6 student until October 27th. They will also be on sale on October 30 on a first come first serve basis. The next West Royalty Parent Engagement session will take place this upcoming Tuesday, October 17th at 6:30pm in the school library. The guest speaker will be Peter Mutch, MSc, BMT, MTA, CCC and Executive Director of the Catholic Family Service Bureau. He will lead a discussion focused on mental health and anxiety in school children. All are welcome to attend this Free session. Light snacks and door prizes will be provided. 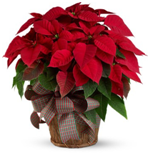 The grade 6 students will begin their poinsettias fundraiser on Monday October 16th until Friday October 27th. . Poinsettias are $16.00 each. Anyone who wishes to pre-order can get in touch with a grade 6 student. Sales are on first come first serve basis and will begin after the pre-order deadline of October 27th. A separate sales event will occur on Thursday Evening, November 16th and Friday Morning November 17th during parent teacher interviews. Our annual Raise-A-Reader Magazine and Gift Campaign is coming to a close this week! Paper orders are due to the school, Monday Oct 2nd. For anyone who still has orders coming in, ALL paper orders must be submitted to the school no later than Thursday, October 5th, Count Night. After Thursday, late orders can only be accepted online until approximately October 13th to receive prize credit. We are looking for a few more volunteers to help with count night. All you need is a pen and a calculator. If you are available, please email westroyaltyhs@gmail.com. Proceeds from this fundraiser allow us to run several events throughout the year, purchase classroom items for teachers, books, technology, field trips, healthy snack, and much, much more! This year a larger portion of the proceeds will be allocated to assisting the school in expanding the basketball and outside play area and we are more than happy to assist. Our online store is open year-round! All purchases any time of year help our school! On behalf of teachers, administration, students, and the Home and School, we thank you for your support. Happy Shopping! A meeting for parent volunteers who wish to participate in fundraising and planning activities for this year’s Grade six graduation will take place on October 10th at 6:00 pm in the teachers’ lounge.